Would you like the latest IT systems without having the usual upfront costs? 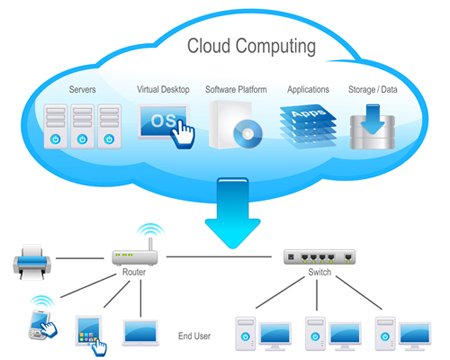 Hosted desktops and cloud computing is the answer. You could access your data 24 hours a day using a Mac, PC, notebook, iPad and other smart devices, safe in the knowledge that, if you lose any of your computers, your data is still safely guarded in secure data centres, being backed up daily and syncronised between multiple locations for added disaster recovery benefits. Desktop Anywhere allows you the control you desire over your IT systems, without all the stresses of a traditional in-house system. Cloud hosted virtual desktops have been around for many years and at Desktop Anywhere we were one of the first UK companies to offer this service to small and medium sized businesses. Our cloud experts will hold your hand and take your data and applications and place them in our secure UK data centres, empowering your staff and systems, so they can be accessed anywhere on the planet, from almost any internet enabled device. With zero or minimal upfront capital costs and a fixed monthly fee, your cloud system will provide you with the tools to run your business more efficiently and is fully managed, maintained and supported round the clock, 365 days a year, to ensure stability and reliability using the latest technologies. Get a free, no obligation quote now or call us to see how your business will benefit – 0844 884 5196.